Sangyup Lee, the General Motors designer credited with the exterior design of the new Chevrolet Camaro, has left the company to join Volkswagen’s Southern California studio writes the New York Times. The joint Audi-VW advanced studio, now in Santa Monica, is famed as the birthplace of the Volkswagen New Beetle and Audi TT concepts. Its longtime head, Derek Jenkins, left to join Mazda earlier this year. Now his successor, the studio’s executive design director Jens Manske, has hired Mr. Lee as chief exterior designer. Sangyup Lee, right, exterior design manager for the 2010 Camaro, visited The Times last March with Micah Jones and Rebecca Waldmeir of the G.M. design staff. Mr. Lee, who grew up in Korea, spent nearly a decade at G.M. He was employed for a time at Porsche before joining G.M., where he also worked on the 2004 Buick Velite show car and the Corvette Stingray Concept. Mr. Lee studied sculpture and earned a bachelor’s degree in fine art at Hongik University in Seoul before turning to auto design at the Art Center College of Design in Pasadena, Calif., from which he graduated in 1999. Mr. Lee was working in the Corvette design studio of Tom Peters when Mr. Peters was asked by G.M.’s design chief, Ed Welburn, to quickly develop proposals for a new Camaro as part of an internal competition. Mr. Lee said that his low-roof, angular sketches were inspired more by comic book and automobile magazine images than by any vehicles he had seen growing up in Seoul — and were less overtly “retro” than some of the other proposals. “Korea has no muscle car tradition,” he said in an interview. Mr. Lee was also put in charge of seeing the design through to production, working with engineers at Holden, the General Motors arm in Australia, where the car was being developed. He recalled that every fraction of an inch of hood and roof height was an occasion for battles with the engineers. The Beetle has a bigger role to play for Volkswagen India than just the numbers writes business-standard.com. At Rs 20.45 lakh ex-showroom Delhi, the Beetle – unlike its illustrious predecessor – is not exactly a people’s car. Though you’d never realise that going by people’s reactions when they see it. Volkswagen India has been steadily drumming up the hype around the Beetle, leading to the eventual climax of its launch earlier this month. Though VW launched the impressive battletank-like Touareg SUV along with the Beetle at the same event, it’s the little Bug that’s still being talked about. And the blitzkrieg continues. Just last Thursday, VW had an innovative promotion of the Beetle where they flew a huge banner in the skies above Mumbai – it certainly would not have come cheap. For a car that fits in an extremely niche segment in the country and contributing to very small numbers, the hype surrounding it seems completely disproportionate. Neeraj Garg, member of the board/director, Volkswagen Passenger Cars, Volkswagen Group Sales India however justifies the activity surrounding the car. “The Beetle is our brand foundation. To lay the VW foundation here, it is but very natural to introduce it in India and therefore the huge communication activity,” he says. Indeed, Volkswagen owes its very existence to the Beetle. The original one, introduced to the world just after WWII, turned out to have an incredibly long production run, with over 21 million units produced before it stopped trundling out of VW Mexico’s plant in 2003. Amazingly, it was VW’s mainstay well until the 1970s. Considered one of the greatest cars of the twentieth century, the Beetle was an essential part of popular culture, let alone a mere car. It is the cult of the original Beetle that still powers the new iteration today. Designed in California by an American designer, the new Beetle was built on the front-engine, front-wheel drive underpinnings of the mass-market, fourth-generation VW Golf. It was designed to evoke the classic looks of the old one, but had all the contemporary features seen in a modern car. Introduced in 1998, the “new” Beetle can be considered old today – most modern cars go through a generational shift every seven years or so. But VW can safely claim that the Beetle is a retro car and is designed to evoke nostalgia. That was the thinking behind its creation anyway – to capture the hearts of US baby boomers who owned the older one in their younger days. Which is why its welcome by Indians is all the more surprising, because our association with the original Beetle is nowhere close to the craze it was in other parts of the world. Far from nostalgic middle-aged Indians, it’s the well-heeled youngsters who are getting themselves the new Beetle for its sheer novelty value. “The new Beetle is about an expression of personality, a state of mind, a lifestyle,” says Garg. “Our study of the intended customer showed that the pull-factor for this car was in its style statement and its head-turning uniqueness,” he adds. That seems motivation enough for wealthy scions to make a beeline for the car. Even before the official launch, VW India received 150 bookings. And that forbidding price tag notwithstanding, there is a waiting list behind the car going all the way up to May 2010 with a total of over 200 bookings. That’s better than what can be called its nearest competitor – the Fiat 500 – managed, with 62 units sold since its launch in July 2008 at a price of around Rs 15 lakh. Beyond the numbers, the Beetle has an important role to play for VW India. The manufacturer is aware of the Beetle’s universal appeal and the positive reaction it evokes wherever it goes. In a country that’s unfettered by the powerful nostalgia of the old Bug, the new Beetle is a cute and rather different looking car that attracts eyeballs. The Beetle also plays the role of a magnet to get attention to the marque, while also getting gawkers into the showroom. The manufacturer needs to keep the excitement about the Volkswagen brand at a high pitch before they start selling their first mass-market product in India. The Polo, which will be unveiled at the Auto Expo in Delhi next month, is expected to go on sale by March 2010. Till then, the hype surrounding the Beetle plus the recognition of VW in India as makers of this loveable, huggable car seems to make the communication activity surrounding the car worth it for VW. What is left unstated however is that the new Beetle is a moving – and extremely effective – billboard for Volkswagen in India. Deimos Air Cooled is a new business run by air-cooled Volkswagen enthusiasts. It was created to provide high-quality parts for those who want the best for their engines and cars. Having owned air-cooled Volkswagens for almost twenty years, the owners of Deimos Air Cooled have learned along the way that buying the cheapest parts is not always what saves money. 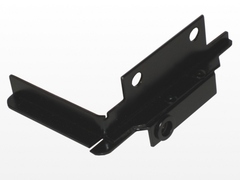 Buying quality parts that fit and work is the key to saving money and time long term. 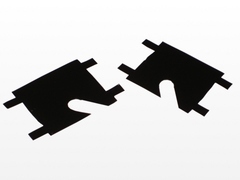 Deimos Air Cooled aims to ensure that the components they sell are the best available. They have spent years looking for the right parts and are now bringing them together under one roof. They will be retailing parts from manufacturers who have impressed them with unique or hard to find high-quality products, and are in the process of producing their own range of parts which they hope to be able to add to their catalogue soon. 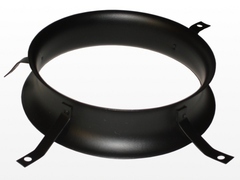 Their initial range, available now, includes “Hoover Bits”, to ensure proper sealing around doghouse oil coolers, and reproductions of the Venturi Ring that Volkswagen added to late model fan shrouds to improve engine cooling. It’s a VW Winter Wunderland! Volkswagen of America, Inc. is excited to offer customers a fun and playful way to get discounts on essential winter season parts. Drivers who visit Volkswagen’s “It’s A VW Winter Wunderland!” website, www.VWWinterWunderland.com, can download rebates that are valid at their local participating Volkswagen dealer. The rebates are good for discounts on tires, batteries, and wiper blades. Visitors to the site can also enjoy “Volkswagen Wunder Rally,” the new interactive online game available from Volkswagen Parts and Service. Volkswagen’s “It’s A VW Winter Wunderland!” website provides an interactive opportunity for customers to learn about the current national service and parts promotion. Drivers can race a virtual Volkswagen Eos, New Beetle, or Touareg through a town to collect as many Genuine Volkswagen Parts and Accessories as possible in under 60 seconds. Wintry obstacles, including snow-covered parked cars, penguins, and even the occasional polar bear, try to keep the player from getting back to the Volkswagen dealership in time. Drivers can also visit their local Volkswagen dealership to pick up the latest parts, accessories, and Driver Gear for their Volkswagen. The Volkswagen Wunder Rally game and the “It’s A VW Winter Wunderland!” national promotion runs now until February 28, 2010. Until he was beheaded (figuratively) in a recent battle with über-VW-mogul Ferdinand Piëch, Porsche chairman Wende­lin Wiedeking was close to occupying the big chairs at both Porsche and Volkswagen, where one of his first goals was to make VW take a considerable amount of cost out of its future product – writes www.caranddriver.com. But in the power struggle that ensued, it was Volkswagen that ended up owning Porsche, instead of vice versa, and Wiedeking was sent packing (with a colossal severance payoff). Now Piëch, the chairman of Volkswagen AG’s supervisory board, and VW chief executive officer Martin Winterkorn are calling the shots at Volkswagen and nine other brands under the VW umbrella, including Porsche. And what both leaders are looking for regarding Porsche’s future seems to be clear: Porsche has to sell more cars. A lot more cars. Currently, Porsche is selling about 75,000 units per annum. Instead of the incremental addition of model variants as in previous years, the new VW bosses are demanding that several new Porsche models enter production in a short three-year span. Eventually, the new bosses are pushing for Porsche to sell 150,000 vehicles annually. Here is Winterkorn’s take on Porsche’s product line: The slow, evolutionary steps of the 911 have been too small. The Cayenne, even in its second generation (due later this year), is still too heavy, thirsty, and not innovative enough. The Boxster and the Cayman don’t sell in great enough numbers, and the new Panamera is too big and heavy. Above all, the Panamera’s chassis is used only for a single model today, which is not as profitable as it could be. 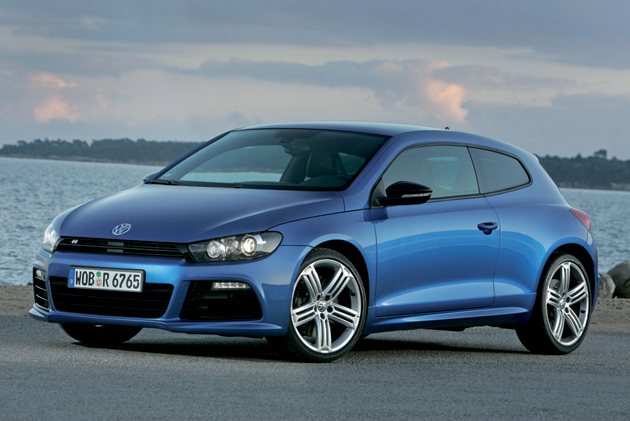 The Volkswagen Scirocco R was recently introduced to the European motoring press, and all of its details have been delivered unto the people writes www.autoblog.com. The 2.0-liter, 265-horsepower front-wheel-drive hot hatch comes in two versions: six-speed manual and six-speed DSG, either of which will get you to 60 mph in six seconds or less. Mk 7 Golf to be electric? The next-generation Volkswagen Golf will be sold as both a hybrid and a full EV, VW’s R&D boss, Ulrich Hackenberg, has told Autocar. Hackenberg also admitted that diesel hybrid technology, previewed on the Up Lite concept, could be upscaled to bigger cars. The Up Lite has a two-cylinder diesel engine, assisted by a 10kW electric motor, but Hackenberg revealed that a 30kW motor with a bigger engine was easily achieveable. There’s little chance of seeing a hybrid Lamborghini or Bentley, he said, but both companies could produce electric versions in the future. 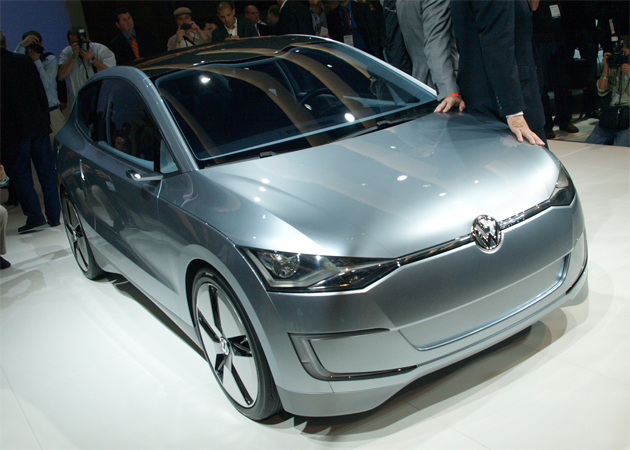 Volkswagen has just taken the cover off an all-new concept called the Up! Lite, a sinister looking diesel hybrid that gets (according to VW) 70 mpg combined writes www.autoblog.com. As in both City and Highway. Impressive, even if that only ends up being 90 percent accurate. 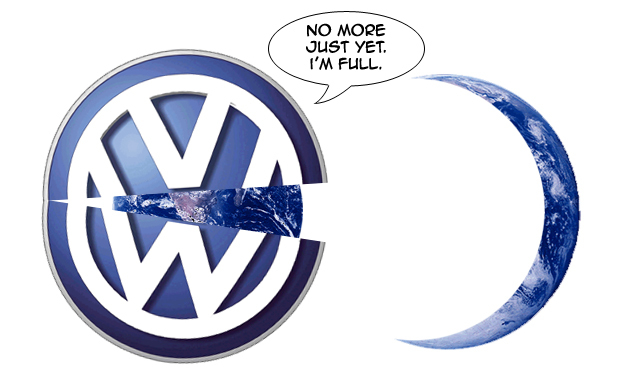 In fact, should Volkswagen decide to green light the unfortunately named Up! 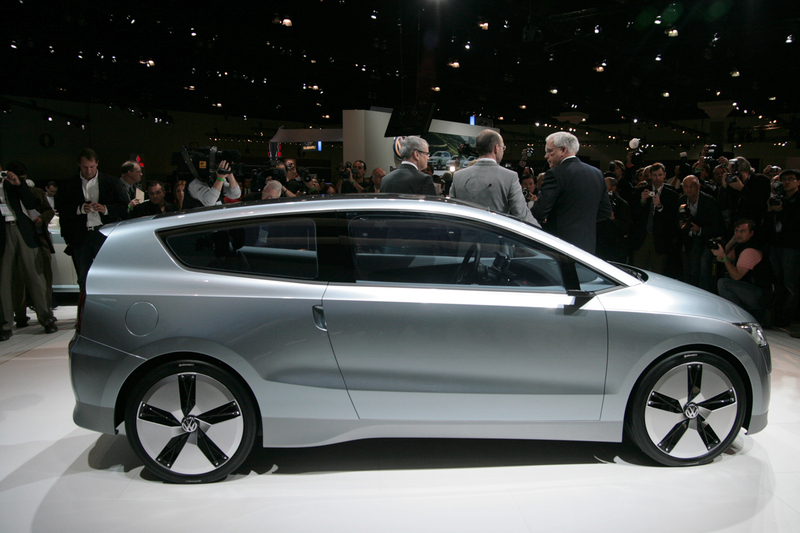 Lite, it would be the most fuel efficient and environmentally friendly four seat vehicle on the planet. Again, if the Up! Lite comes to fruition, we’ll all be impressed. Interestingly, this concept isn’t the most fuel efficient and environmentally friendly car on earth is because another Volkswagen — the L1 from Frankfurt – is. But it only seats two. Ready for the good parts? The aptly titled Up! Lite barely tips the scales at 1,530 pounds. There are Honda Goldwings flirting with that weight class. This svelteness is achieved via a mix of aluminum, lightweight steel and carbon fiber. For instance, the roof is made entirely from the expensive weave. And those amazing wheels consist of ten carbon-fiber spokes and an aluminum fairing. Nifty, no? The tiny, stylized winglettes replace conventional rearview mirrors and contain cameras instead of reflective glass. The same holds true for the interior mounted mirror, as has been replaced by a camera. Up front, there’s an active air dam that opens up as needed. The extra cooling will help out the TDI hybrid drive lifted from the two-seater L1. This 800cc powerplant transmits power to the wheels using a seven-speed DSG dual-clutch gearbox. Even though the diesel engine is teeny, when coupled to the electric motor, the Up! Lite can reach 100 mph and hit 60 mph in 12 seconds. Not fast by any means, but good enough – especially for an ultra-high mileage vehicle. And it can haul stuff, too – including humans. Unlike the Up! Concept we saw in Frankfurt, the Up! Lite seats four people, and with the rear seats folded, it can haul 30 cubic feet of stuff. Not bad at all. Overall, we’re pretty impressed by the looks and promise of the Up! Lite. In our estimation, there’s absolutely nothing wrong with blending a Honda CRX with a Volvo C30. Will the Up! Lite ever make it to production? Who knows. VW claims the first Up!s(?) will go on sale in 2011. We get the sense that any future decision will be based on how the two-door Up! does. But we get the feeling the Up! Lite might give the people more of what they want. 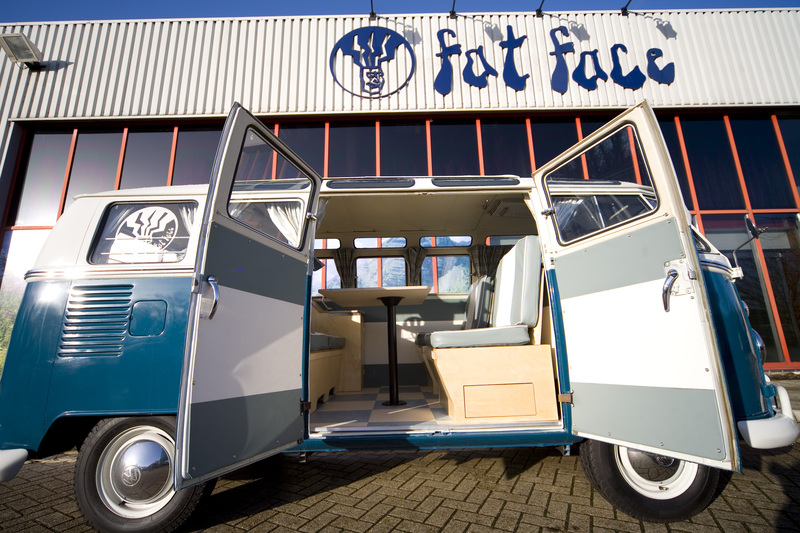 Fat Face Campervan winner announced! Steve Ralph from Hertfordshire has been given the keys to drive away in Fat Face’s £35,000 original, split screen VW Campervan, ‘Zebedee’! The best bit is he gets to keep it forever, after winning it in a massive competition that generated interest from as far afield as Australia and America! Steve just filled out his details in a Fat Face store and was randomly selected from the thousands that applied, desperate to get their hands on Zebedee. The giveaway to win the 21 window split screen beauty was launched to celebrate Fat Face’s 21st birthday. It’s the second set of Campervan keys that Fat Face has given away; the first belonging to founder Jules Leaver who had to sell his (rather beaten up) camper to fund the early days of Fat Face. However, the same sense of loss was felt by Fat Face today as Steve drove Zebedee away! However, Fat Face was delighted with the huge level of interest the competition drove and reading the many bribing and begging letters to win the Camper also made for great reading! 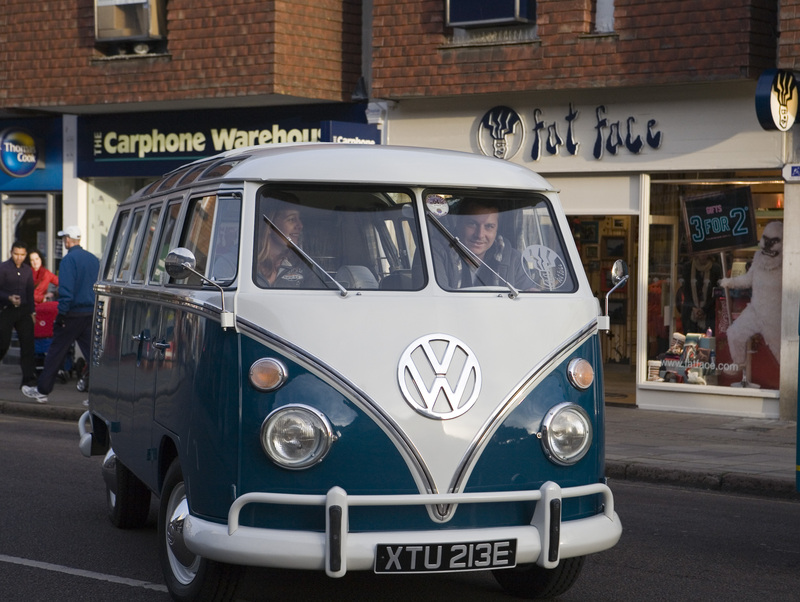 There were also 5 Cheeky Weekend winners who get a Vanilla Split VW Campervan for the weekend. They were Brendan Steenkamp, Jason Harling, Claire Ballantyne, Joseph Goode and Andy Hilditch. Problem is they have to give the van back but they’ll be guaranteed a good time for at least a couple of days and they also get £150 of Fat Cash to splurge in store!